Thinking about hiring a Tree Surgeon in Maida Hill or Maida Vale? GraftinGardeners are highly skilled arborists with unrivalled experience and have been working in the arboriculture industry for over 7 years. Our company is family run and closely works with customers for the best possible experience. Whether you need a tree pruned, felled or simply a stump removed, we can handle it. Say no to rouge traders! Get a quote from one of our tree specialists and they could inspect yours trees the same day. GraftinGardeners are London’s most trusted and reliable tree care experts and have tree surgeons operating in Maida Hill, Maida Vale and surrounding areas. If you need a tree specialist to inspect your trees, you came to the right place! Our teams deliver the finest quality of workmanship and can perform all tree works with precision and care. If you require tree surgery in W9, get in touch with us today. We can come to your premises and give you an on-site quotation for all your requirements. If you want a tree removed from your garden or property, why not give us a call at GraftinGardeners? We have felled many trees over the years and can skilfully cut down any trees, regardless of size and location. Our tree surgeons will safely fell your unwanted trees and always do so in a controlled manner, making sure nothing in the surrounding area gets damaged. We take trees down by means of sectional or straight felling and closely follow UK safety laws, ensuring minimal disruption to your day. Tree pruning is a skill and takes years of practice to master. Only a professional arborist knows how to get a perfect, well rounded and clean cut, that’s why its best left to them. Our tree surgeons are exceptional when it comes to trimming trees and can shape any tree with perfection, while maintaining balance and health. We can cut, trim and shape just about anything and we always follow the guidelines set out in the (BS 3998), ensuring perfect results for every customer. If you have an unwanted tree stump in your garden and would like it removed, GraftinGardeners can help. Our tree surgeons are fully equipped with all the latest stump removal equipment and can remove any stumps, even where space is restricted. We will remove your unwanted stump, either with hand tools or our stump grinder, while keeping the surrounding area clean and tidy. Get in touch with us today and we will supply you with a free no obligation quotation, for all your stump requirements. Bad weather, storms and even flooding, can bring down trees of great magnitude and seriously damaged the surrounding area and anything in its path. Our company has seen it all and dealt with large cleanup operations, so we know exactly what to expect. If you have a fallen tree on your premises and need it removing, our tree surgeons can certainly help! We will remove any dangerous trees and won’t leave until the surrounding area is safe and secure. Our emergency tree service runs 24 hours a day, 365 days a year, so don’t hesitate to contact us in the event of an emergency. Ivy can cause damage to woodwork, guttering, roof tiles, brickwork and joints if it’s not maintained properly. You need to train ivy from young, to stop it causing these problems and periodic maintenance is usually required to keep it in check. Our company offers an ivy and climber maintenance service and can train any type of ivy and climbers, before they become a problem. We can also remove invasive ivy by taking out the roots, ensuring it doesn’t grow back too soon. If you’re struggling to plant or even relocate a tree in your garden, why not let GraftinGardeners do it for you? Our company sources the best possible specimens, leaving you more time to concentrate on the planting locations and other important things in your busy life. 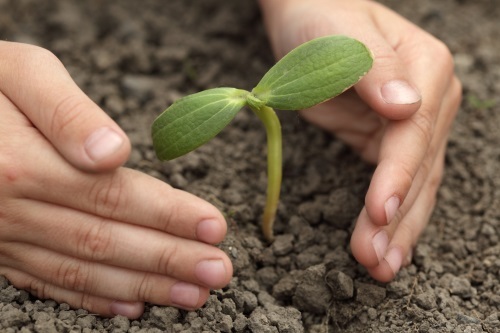 We will guide you through the whole tree planting process and won’t leave anything out. See what we can do for you by calling our number above. Want to get your hedges trimmed by a professional hedge trimmer? Don’t stress yourself out by worrying about cutting your hedges. Let us come in and trim them for you! Our arborists proficiently craft and shape hedges on a daily basis and can style your hedges however you like. You can instruct us or better yet, leave it to us. Whichever you prefer, our hedge trimmers guarantee perfect results and always leave you with sharp looking and well-shaped hedges. 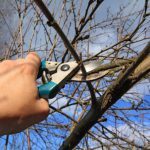 Pollarding is a heavy pruning method used to expand the life of a tree and is used on species such as willow and poplar. It is the cutback of all upper limbs and branches, in the effort to promote new growth and denser foliage. GraftinGardeners have pollarded many trees and know what it takes to perform the job correctly. If you need a tree pollarded we can help, contact us to book a free quotation with one of our tree surgeons.